An open letter to the Director of the Auschwitz Birkenau Memorial and Museum. 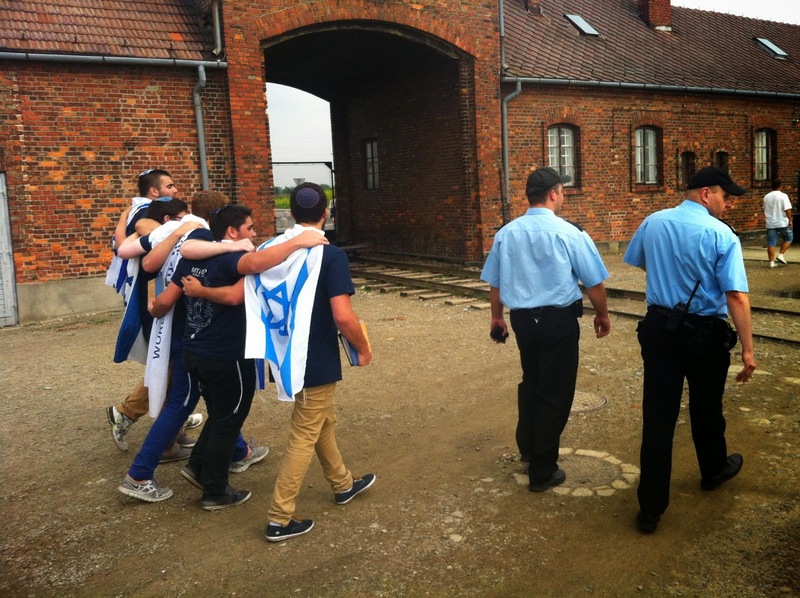 I am the head of the World Bnei Akiva MTA programme, whose visit to Auschwitz on Friday 1st August has garnered much publicity throughout Israel and the Jewish world due to the detention and fining of its tour guide, Rabbi Rafi Ostroff. Since the story has broken, your policy has been to defend the actions of your security personnel. Your PR department has made numerous comments on Facebook, including many examples of inaccurate reports about our group's behaviour. These include, but are not limited to: running around the site, not having a memorial guide and waving flags so that other visitors had to move away quickly. You have described our behaviour as "awful" and claimed that we were "disrupting public order". You have admitted that groups are able to sing "at the top of their lungs" when they are "alone" on the site, yet your police drove over to stop the group singing when no-one was around (see picture). You followed a policy of constantly responding to posts about this incident, however the result has been that your story has been inconsistent. In some - but not all - cases, you have apologised for making inaccurate claims about our group and mixing it up with other groups on site. In addition to this, you claim to have video footage of the event, and to have received "numerous" complaints by visitors and guides. But you haven't specified how many, nor have you released the video. You have constantly talked about the requirement for sensitivity within the site, yet I have not seen you address the lack of sensitivity displayed by your security personnel throughout the day, which could have prevented this incident from escalating. In particular, but not exclusively, I am referring to the incident which actually resulted in the calling of the police, which followed the group singing on the path from 'Mexico' towards the convent, and then towards the exit with no-one else in sight. The security officer, who drove out of his way to challenge us, approached me and we had a long conversation. I tried to defuse the situation, saying that the boys are not disturbing anyone and will be out of the site in a minute. His decision to escalate matters by insisting they stopped singing at the exit (see picture), detaining Rabbi Ostroff and eventually calling the police displayed a lack of sensitivity towards our group at a site that requires it more than any other. You have also tried to claim that ours was an isolated incident, yet I know of two other groups who also faced similar problems with security personnel in Auschwitz over the last few weeks. Given that singing by Jewish groups in Auschwitz is an established practice for many years, I find it hard to believe that the general demeanour of Jewish groups has changed recently. 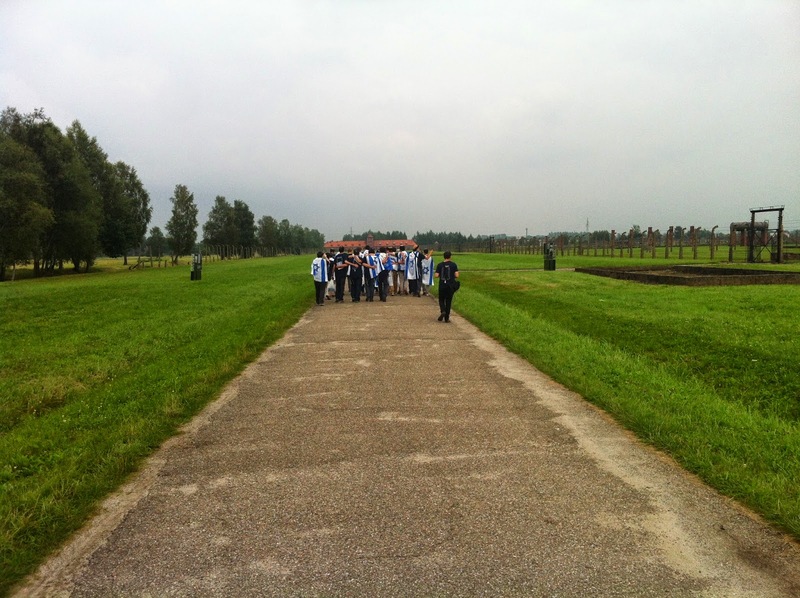 Indeed, this was my third visit to Auschwitz as part of a group of young Jewish people and each time we have sung at the same locations and conducted ourselves in the same way without any issue with the site management. As a principle, singing slow and sad songs is how Jewish people commemorate and memorialise the Holocaust, and remember their loved ones at sites where their family members perished, especially Auschwitz. As a result of all this, I request that you personally write a letter to the 18-year-old members of the group and apologise for spreading mistruths about their conduct, in addition to apologising to Rabbi Ostroff for the incident itself. I also request that rather than punishing the participants by taking away 1000 zloties from their group's budget, you return the money, which I will put towards more Holocaust education for the programme. Finally, I ask that you initiate a training programme for your staff in order for them to understand the sensitivities required with regard to Jewish and Israeli groups.